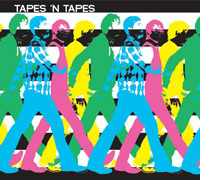 Two bands that I played A LOT of in 2005, The French Kicks and Tapes 'n Tapes both have new albums coming out this spring. I figured yesterday I went a little beat heavy, so today I'll bring back some guitars from two of my favorite indie bands. The French Kicks track is off of their just released (4/1 on iTunes) album Swimming. Nothing can replace The Trial of the Century, it is one of my favorite tracks of all time, but I like how the bass line teases in track Abandon before coming out in full force. It has the same haunting tone I think they pull off very well. The French Kicks have their roots in DC but pretty much started after moving to Brooklyn. With two of the three original members no longer with the band after A Trial of the Century was released, I think it showed in 2006's Two Thousand. But it seems they have once again found their music space with their latest. They have been teetering on the verge of breaking out and 2008 might be the year. Now Tapes 'n Tapes is another band whose track Insistor burned a whole in my play list back in 2005, probably well into '06. In fact I really want to listen to it right now after talking about it. You can call these guys one of the earliest music blog success stories. 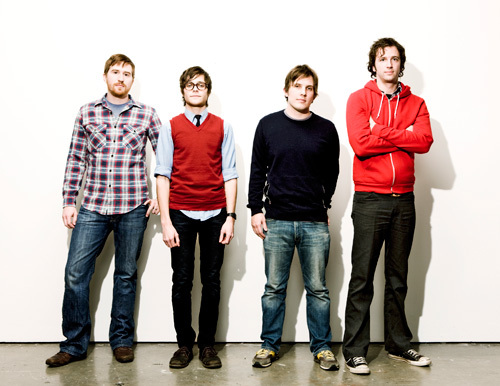 Their popularity rose quickly after their first release, The Loon, was featured on several popular music blogs (Music for Robots, You Ain't No Picasso, Gorilla vs. Bear, Pitchfork (Okay not a blog per se, but you know you all read it...). You can get a whole bunch of older Tapes 'n Tapes tracks on their site. Hang Them All is showing that Tapes 'n Tapes have matured. Two of my fav bands! Can't wait to get both albums! Great post! BTW... i know i'm not the only one reading! show some love!